The Golden Circle in Iceland comprises three noteworthy stops, all of which are related to the local geology: Þingvellir Park and the Continental Divide, Gullfoss Waterfall, and the Geysers. In terms of popularity, driving the Golden Circle, whether on your own or as part of a group bus tour, is up there with the Blue Lagoon. One way or another, everyone does it. 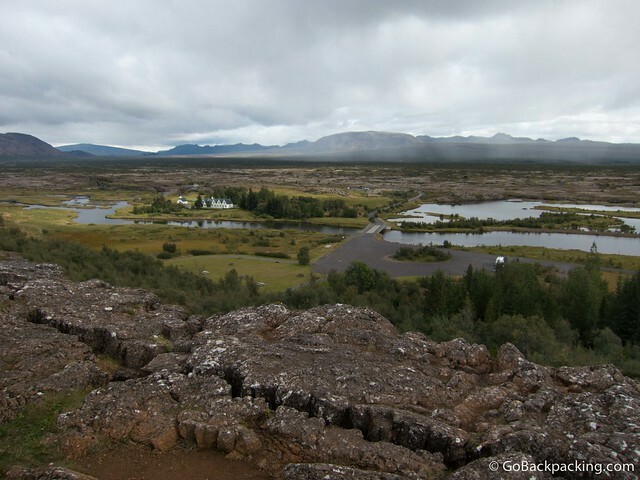 The first stop outside of Reykjavik is Þingvellir Park, a UNESCO World Heritage Site, which offers one of the world's best spots to view the collision of tectonic plates. Specifically, you'll see where the American and Eurasian plates meet. Every year, these plates pull apart a few centimeters. Over time, this has resulted in a noticeable rift, with the western, American plate rising up higher than the eastern, Eurasian plate. A paved pedestrian pathway allows visitors to easily walk between the two plates. 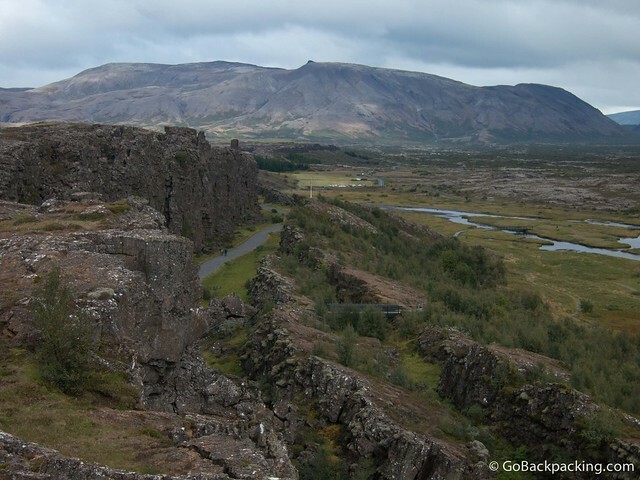 Nearby, one can snorkel or dive the Silfra canyon, which lies between the two continental plates as well. This is typically done as a separate trip, though it can be paired up with The Golden Circle, making for a full day excursion. The best part about this experience is the underwater visibility. The water is extremely clear, and pure, having taken 20 years to filter through the surrounding lava fields from a nearby glacier. Visibility can stretch up to 80 meters, and while there aren't a lot of fish, you will see some algae underwater. Thick wetsuits are provided by the tour companies, but it can still be a chilly experience. 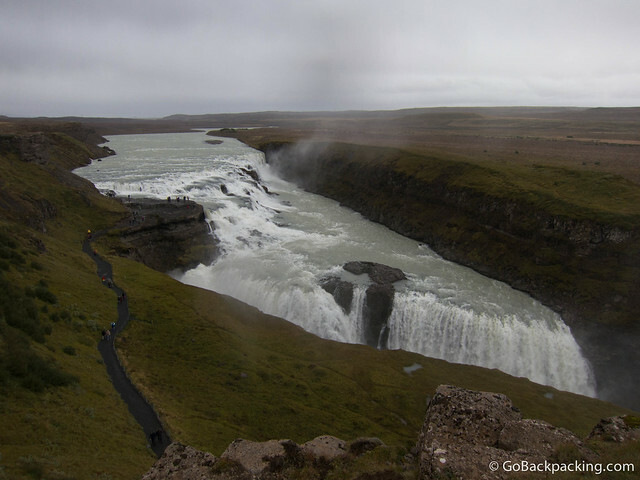 The next stop on the Golden Circle tour is Gullfoss waterfall, which is found along the Hvítá River, and fed by Langjökull glacier. 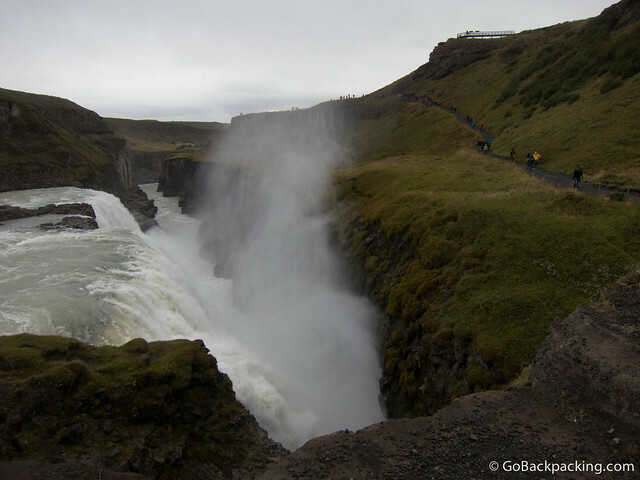 Iceland's largest waterfall features two sections. The upper section is a series of small steps, which then feed into a huge, 32-meter tall crevice below. The force of the water falling over the second section is so strong that it kicks up a thick mist, ensuring the visitors who choose to walk down the path get wet. Bring a water-resistant jacket, even if it's sunny out. 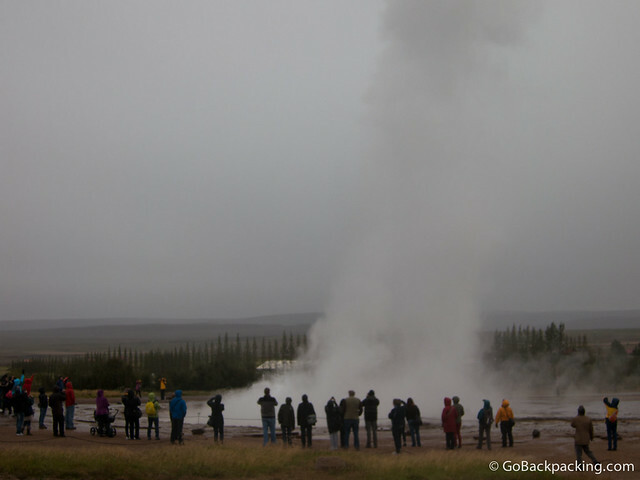 The third major stop on the Golden Circle is a geothermal area featuring a group of geysers. The Strokkur geyser launches a spray of water up to 30 meters in the air every ten minutes or so, ensuring most visitors have a chance to enjoy the show. Having visited an even larger area of geysers in northern Chile (outside San Pedro de Atacama) earlier this year, I found this to be the least interesting stop on the tour. An older, female tourist who didn't even leave the bus remarked that unless it's bigger than Yellowstone's Old Faithful, she wasn't going to check them out. Overall, I found the Golden Circle tour worth the time and money, if only because it offers one of the most accessible places on Earth to see a continental divide. Where to Book: Any hostel or hotel, and most travel companies. 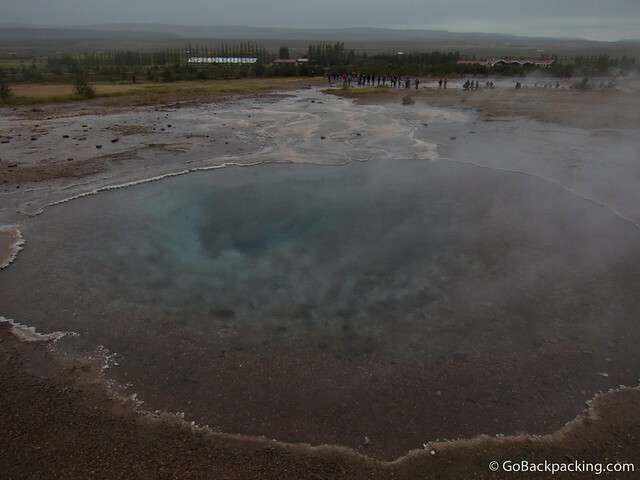 Half day trips to the Golden Circle can be combined with other activities, like the Blue Lagoon. If you’re renting a car, you can go on your own. That is great place for visiting that i did not know about. I would love to go there on my trip when I have vacation. Thank you for all that helpful information.